The Official Bridge for the GB 9 Tour. The Power Bridge is the only bridge you will ever need. The Power Bridge is very easy and simple to use, you just push it on to a breaking cue or a bridge shaft then pull it off when your finished. 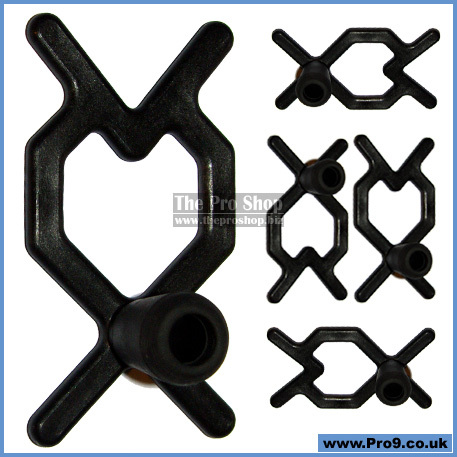 Fits on to a 12.5mm or up to a 13.5mm breaking cue or bridge shaft. Small enough to fit in your cue case or bag. 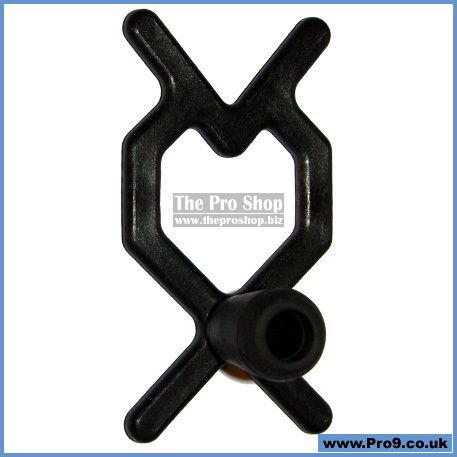 Very solid slick black plastic construction with a tight fit rubber grommet, that does not wobble when you take a shot. When using the Power Bridge to cue over balls, you have the advantage of being able to see through the body of the bridge, e.g. 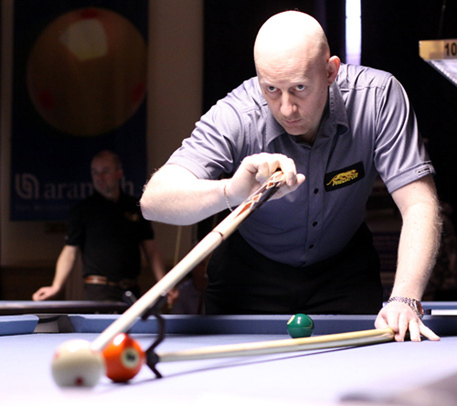 so you can see where you are contacting the cueball, also you can have the shaft resting on the baize or off the baize. Designed by Des Morley and endorsed by The 2007 World 9-Ball Champion Daryl Peach. The Power Bridge is a modern yet traditional looking bridge, designed to solve all problem shots in 9-Ball. The difference between The Power Bridge and all other bridges is that the The Power Bridge is a very solid but light push fit bridge. 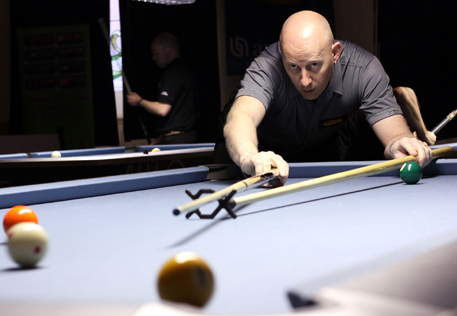 It is high enough at both ends to cue over obstructing balls, the two largest V shaped cueing sections are based on a standard cross rest from snooker and the two smallest V shaped cueing positions can get you right in close to the cushion. UPDATE: We sold the last one of these a few weeks ago, and the bad news is that the designer is not planning on making any more. Sorry!